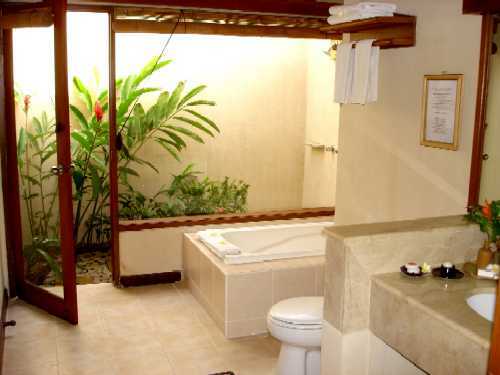 Beach front villas, spa, restaurant, private beach, water sport, etc. 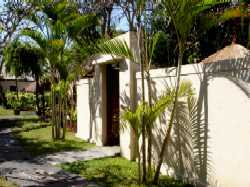 Strategically sitted in the solitary site of thriving Tanjung Benoa Beach, Nusa Dua. One of the famous resort area in the island/Bali. Surrounding by real green tropical forest, facing the breathtaking Nusa Dua ocean where the sunrise setting is in out doorsteps. Neighboring the festive beach recreation activities, body beauty treatment center and highwaying to all the exotic tourist object. The secret of joys in the tiny but exotic island of Bali. The only place where.... The birds are flying and singing freely. The windblows gently and the waveband dancing in the seashore entertain you with the real natural simphony to ease your mind. Lure your self in the fresh tropical breeze. Whether it is Water sport, relaxing by the pool or just sitting reading, The Benoa offers visitors something special all in one location. 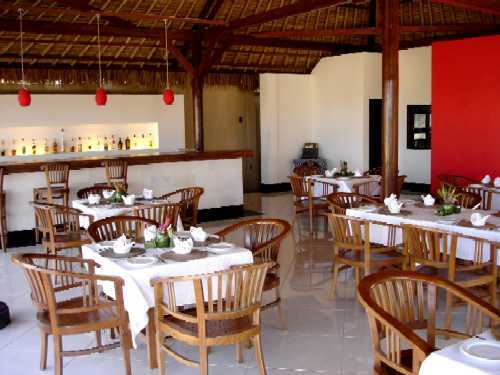 Local and International cuisine with a special emphasis on delights from the sea will surely temp any palate. Swimming Pool, reflexology massages, baby sitter, room service, information / guest relation, private beach, money changer, laundry service.